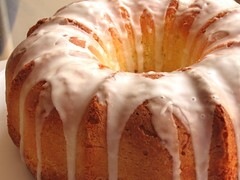 Lemon Bundt Cake - Do You Know The Muffin Man? 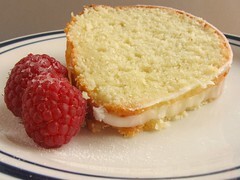 Notes: An easy cake to make but, of course, being Cook's Illustrated, there are a few tweaks. First, the lemon zest is Microplaned, then minced, then softened in lemon juice so that the little bits contribute flavour but not texture. Second, the glaze is applied in two stages, immediately after unmolding and after an hour of cooling. Wonderful crumb and delicate lemon flavour; the glaze is awesome too (and I don't usually like sugary toppings).